Use my mobile app to apply for a mortgage or find homes locally or anywhere on the globe. Get FREE instant access on your cell or tablet to homes regardless of the listing/selling firm. Click here to download it now. 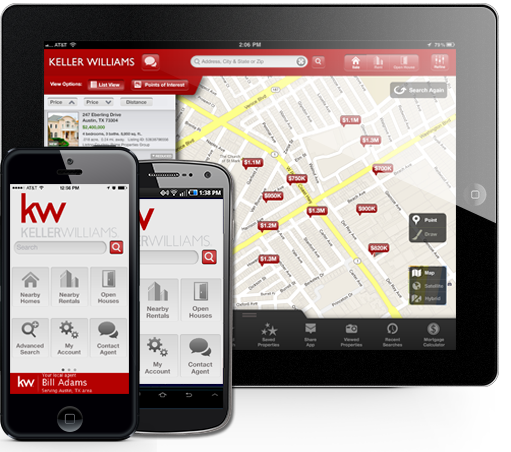 Keller Williams Realty Real Estate Search available on Android, iPhone, or iPad gives you access to more than 4 million homes.